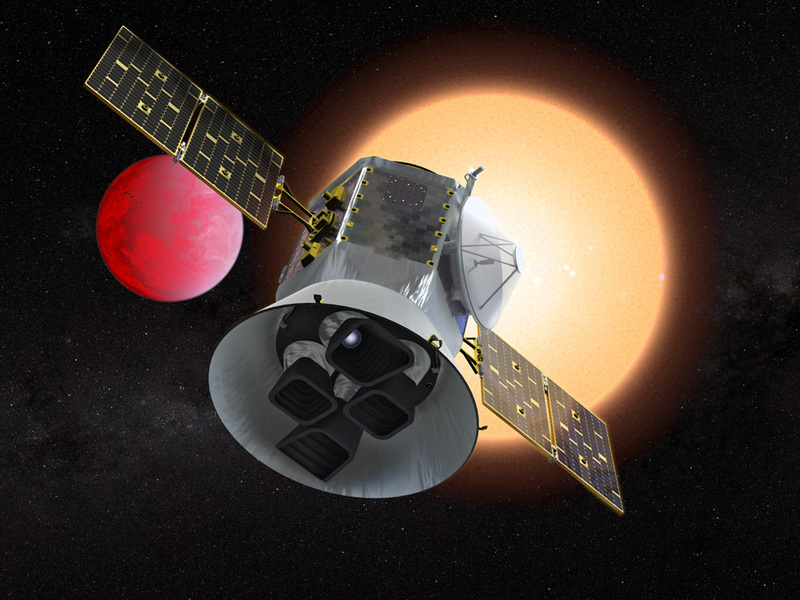 The Transiting Exoplanet Survey Satellite (TESS) is a NASA-sponsored Astrophysics Explorer-class mission that is performing an all-sky survey to search for planets transiting nearby stars. The primary goal of TESS is to discover planets smaller than Neptune that transit stars bright enough to enable follow-up spectroscopic observations that can provide planet masses and atmospheric compositions. TESS launched on April 18, 2018 and after a series of maneuvers was placed in a highly-elliptical 13.7 day orbit around the Earth. TESS began regular science operations on July 25, 2018. In its 2-year prime mission, TESS will monitor about 200,000 main-sequence dwarf stars with four wide-field optical CCD cameras to detect periodic drops in brightness caused by planetary transits. 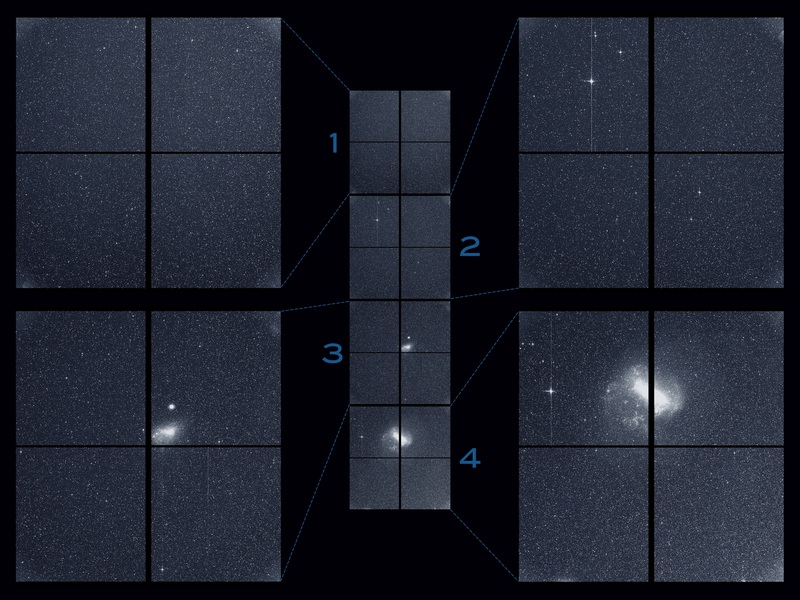 Photometry of these pre-selected targets will be recorded every 2 minutes. TESS will also obtain full-frame images (FFIs) of the entire, four camera field-of-view (24 x 96 degrees) at a cadence of 30 minutes to facilitate additional science. NASA's Kepler Mission was, during its 4 year prime mission from 2009-2013, a statistical transit survey designed to determine the frequency of Earth-sized planets around other stars. Kepler revealed thousands of exoplanets orbiting stars in its 115 square degree field-of view, which covered about 0.25 percent of the sky. While Kepler was revolutionary in its finding that Earth-to-Neptune-sized planets are common, the bulk of the stars in the Kepler field lie at distances of hundreds to thousands of parsecs, making it difficult to obtain ground-based follow-up observations for many systems. The TESS Mission is designed to survey over 85% of the sky (an area of sky 400 times larger than covered by Kepler) to search for planets around nearby stars (within ~200 parsec). TESS stars will typically be 30-100 times brighter than those surveyed by the Kepler satellite. Planets detected around these stars will therefore be far easier to characterize with follow-up observations, resulting in refined measurements of planet masses, sizes, densities, and atmospheric properties. The TESS Mission is led by the Massachusetts Institute of Technology (MIT), which is responsible for the overall direction of the mission. The TESS Science Office (TSO) is a partnership between MIT's Physics Department and Kavli Institute for Astrophysics and Space Research and the Smithsonian Astrophysical Observatory. The TESS Science Office analyzes the science data and organizes the co-investigators, collaborators, and working groups. The MIT Lincoln Laboratory leads the science camera development and construction. NASA's Goddard Space Flight Center (GSFC) provides project management, systems engineering, and safety and mission assurance. The TESS Science Support Center (TSSC) at GSFC operates the Guest Investigator Program and supports the science community proposing for new science with TESS. The spacecraft is led and operated by Orbital Sciences Corporation. This includes mission operations at the Orbital Sciences Mission Operation Center. The data are processed by the Science Processing Operations Center (SPOC) at NASA Ames Research Center. All TESS raw and processed data are made publicly available through the Mikulski Archive for Space Telescopes (MAST), operated by the Space Telescope Science Institute (STScI). The TESS Mission has a robust Guest Investigator Program (GI program) that is managed by the TESS Science Support Center at NASA Goddard Space Flight Center. Under the GI program, the astrophysics community may propose new 2 minute cadence targets and investigations using the 30 minute cadence FFI data. TESS GI calls for proposals occur once per year and are announced within the NASA ROSES solicitation. About 10,000 targets will be available for each GI program cycle. The TESS GI program welcomes proposals including, but not exclusive to, exoplanet, stellar, extragalactic, and solar system science. For specific guidelines on proposing targets through the GI program, visit our Proposal Preparation page.